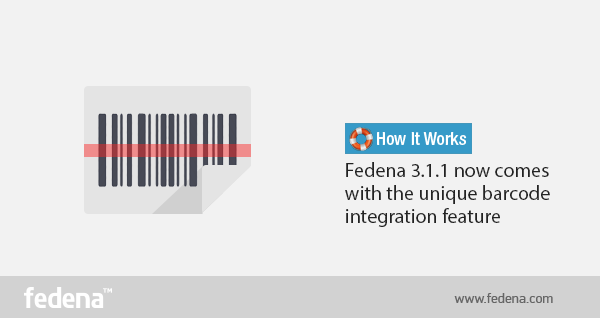 Fedena 3.1.1 is now equipped with Barcode Integration which can help you deal with library management in your institution. Any new book addition or a book issued or returned by students can be entered. Be it a renewal or the search for a book to know its status can be easily done by the scanning the barcodes of the books. Managing your institution’s library is much easier now with the new feature of barcode integration. Read the article and know what all scenarios will let you use the feature. When a new book is added, go to ‘Manage Books’ in the home page of library and then select ‘Add books’. Select ‘Add Books’ to go to the page where you will add information about new books. There are two ‘Book addition mode’- ‘General’ and ‘By barcode’. Thus, you can add a new book in your library using the barcode of the book. The barcode integration can also be used in case a book is issued from the library or is returned or renewed. You can keep a track of all the entries with help of the barcode in the book. In case of returning a book, go to ’Return Book’ in ‘Library Management’ page. Store the returned book using the barcode. For issuing a book, go to ‘Issue books’ in ‘Library Management’ and use the barcode to do the need. For renewal, go to ‘Book renewal’ in ‘Library Management’ page and use the barcode of the book for book renewal. The barcode integration can also be used to search for books in your library. Use the barcode of books to look for the current status of a particular book, whether its available or reserved by someone for later issue. For this, go to ‘Search book’ in ‘Library management’ and use the barcode of the book to know the status.